Boost your online presence and maximize your business' online sales with our wide range of user-friendly e-commerce solutions. Our services offer you the ability to price and sell your products in over 60 global currencies. Not only will your customers benefit by being charged the purchase amount in their own currency, your business is credited in the currency you normally deal with. American Bank Payments' e-commerce solutions will ensure your customers the fastest and uninterrupted processing of online transactions while also providing the highest levels of internet security, fraud protection and PCI compliance. 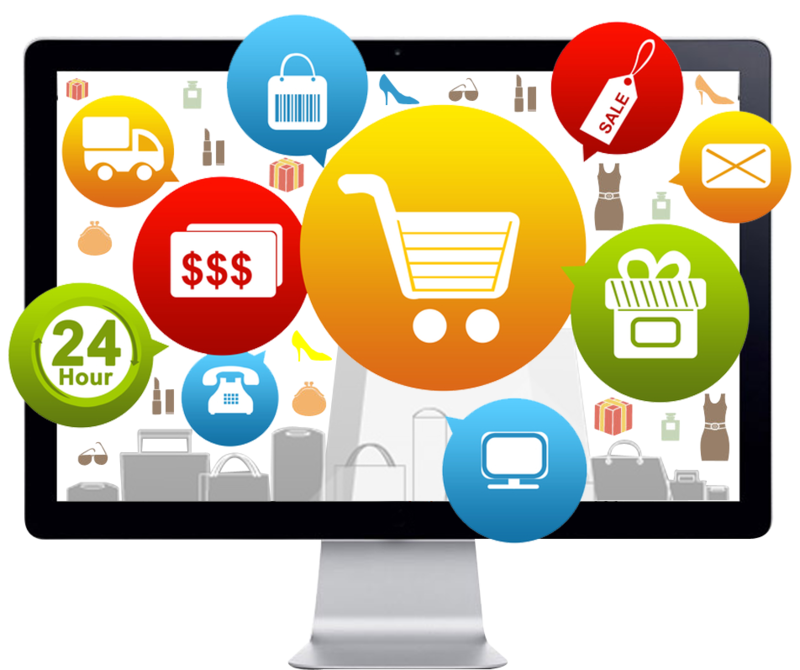 We integrate easily with almost all shopping cart platforms, inventory and accounting software in addition to providing you the ability to customize the design functions of your e-commerce website. Our e-commerce platforms support batch processing, recurring billing and tokenized processing. 1. The customer enters their credit card information for payment on your website's online form (or provides the merchant with this information for processing over the phone through their virtual terminal – see the virtual terminal section for details). 2. As soon as the credit card information provided by the customer has been submitted, this information is then processed through our secure payment gateway. The consumer's credit card details are then validated for security and confirmation available funds to approve the transaction. 3. Our payment gateway relays the transaction results back to the merchant and customer. When the transaction is approved, it will then email both the merchant and customer a copy of the receipt. 4. The customer's issuing bank sends the funds to the merchant's bank who subsequently deposit these funds into the merchant's business account (settlement).